Joshua has represented plaintiffs and defendants in numerous industries, ranging from the oil refinery worker to Fortune 500 company. Prior to joining Armstrong Lee Savage LLP, Joshua practiced with several of the best personal injury firms in Texas, where he worked to secure substantial verdicts and settlements for clients injured in auto, trucking, workplace, and premises liability accidents. 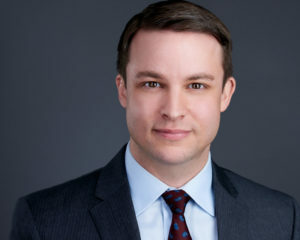 Licensed to practice law in Texas, Mississippi, and Tennessee, Joshua has represented clients in commercial litigation in state and federal courts and in alternative dispute resolution proceedings. A native of Greenville, Mississippi, Joshua graduated with honors from the University of Mississippi School of Law, where he earned his Juris Doctor and served as a leader of the school’s Moot Court Board. Joshua garnered distinction in several national competitions during his tenure on the Board, including the International Trademark Association Saul Lefkowitz Moot Court Competition and the Philip C. Jessup International Law Moot Court Competition. He also gained valuable experience serving as clerk to Justice Ann H. Lamar the Supreme Court of Mississippi. Joshua subsequently earned a Master of Laws at University of Florida Levin College of Law. Joshua is admitted to the state bars of Texas, Mississippi and Tennessee, as well as to federal courts in Texas, Mississippi and Tennessee. He is a member of the Houston Bar Association, Houston Trial Lawyers Association, Texas Trial Lawyers Association, and Houston Young Lawyers Association.